At Zista Research facility, the research team has been working on making Sulfonated Gilsonite (Soltex Additive) during the past two years considering the access to different grades of Gilsonite and vast knowledge of how to apply Gilsonite in Oil Based Drilling Muds. Eventually we were successful in making the prototype for Water Based Drilling Mud requiring Sulfonated Gilsonite and the primary test have been successful. 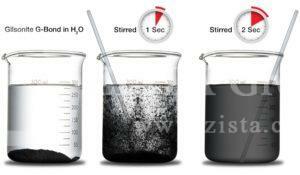 Hopefully within the next 6-12 months Zista shall be the supplier of Gilsonite for water based drilling muds.